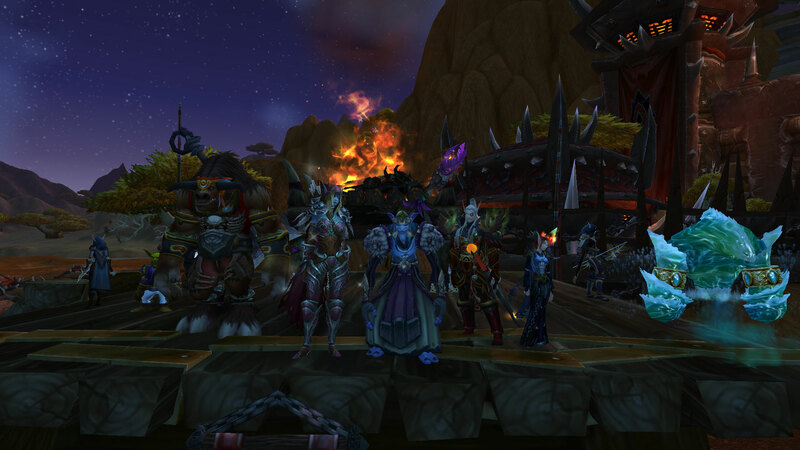 Today’s the last day of Warlords of Draenor, although with the content Blizzard’s provided in the pre-patch, it feels like we’re already in Legion. I enjoyed Warlords, and now the pre-expansion content has me excited for Legion. 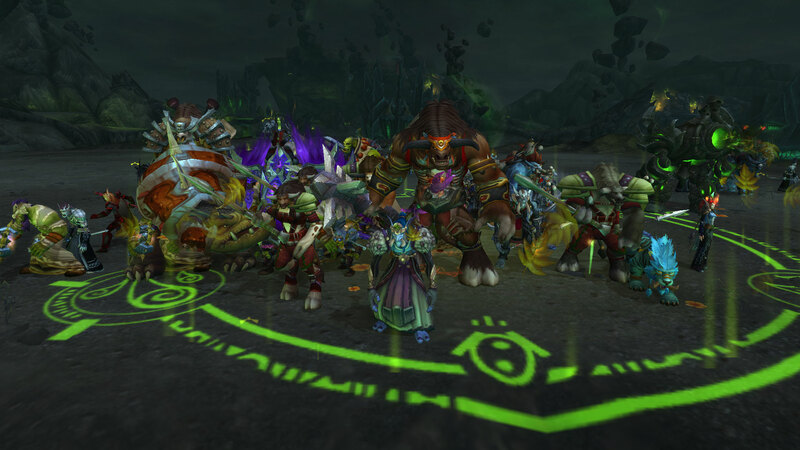 The Broken Shore scenario and accompanying cinematics were awesome content. If this is what’s in store for us now, what will the expansion bring? 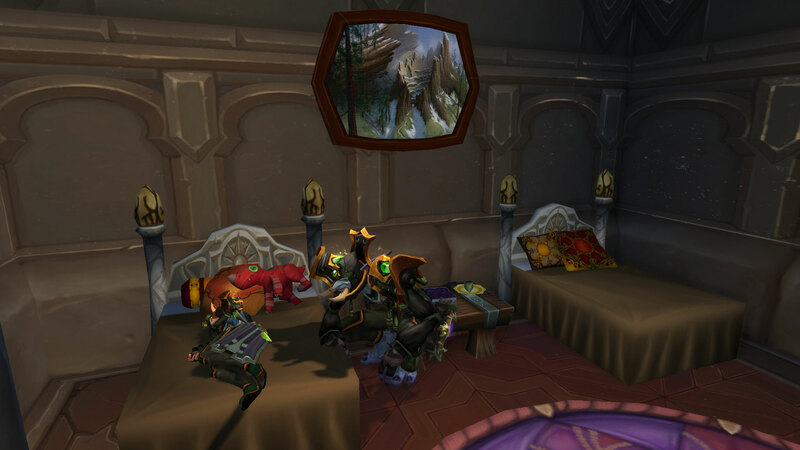 Quests given to us weekly to slowly give us more content leading into Legion was a great idea as well. It reminds me of the Garrison Campaign in some ways. I wish more content was released like this. I took care of everything I wanted. 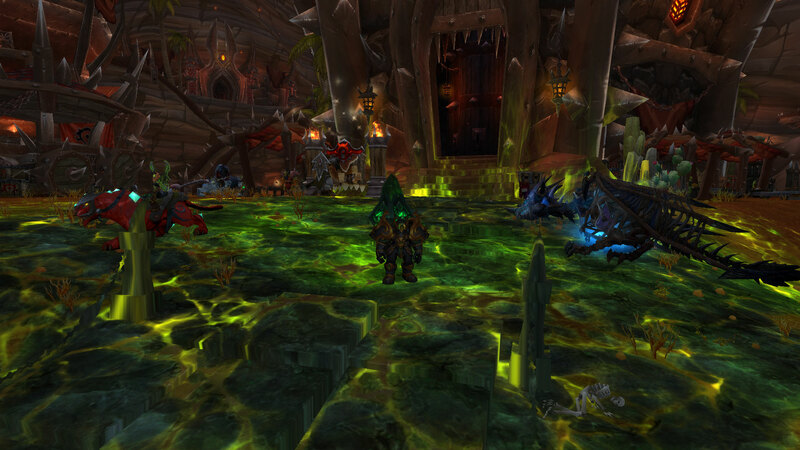 I got all the pamphlets from the Doomsayers, and I terrorized Orgrimmar as a Dreadlord. I managed to unlock every reward from the invasions – all the weapons, all the armor, and the pet. Illuminnae, my paladin, doesn’t even seem to care about the invasion itself. Here she herbalizes while demons attack in the background. And I managed to hit 100 with her, which is only my second character to ever reach a level cap. I did some LFR on her as well to experience more max level content. With the awesome XP from the invasions, I couldn’t stop at Illuminnae. Logrus, my Death Knight, also hit 100 with the invasions, ran some LFR, and even got the Pocket Fel Spreader on his first Dread Infiltrator kill. I’ll leave you with a stuffed dinosaur I found in Dalaran!